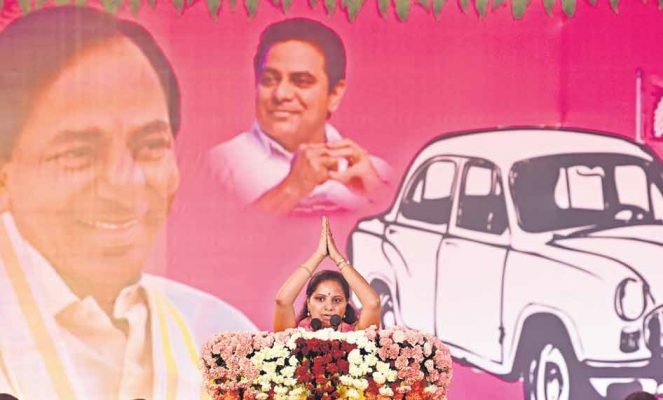 "The two parties are provoking turmeric and red jowar farmers in Nizamabad district to file nomination papers against TRS candidates", says Kavitha. Nizamabad: Sitting MP and Nizamabad TRS candidate for Lok Sabha K Kavitha on Tuesday asked turmeric and red jowar farmers in the district not to fall prey to BJP and Congress provocations to agitate for remunerative prices. “The two parties are provoking turmeric and red jowar farmers in Nizamabad district to file nomination papers against TRS candidates. If problems can be solved by filling nominations, farmers should file thousands of nominations in Rahul Gandhi’s Amethi and Prime Minister Narendra Modi’s Varanasi constituencies,” Kavitha said, addressing a massive public meeting in Nizamabad. Stating that Congress and BJP activists were trying to pose as farmers and provoke genuine turmeric and red jowar farmers in the district, she said they themselves never tried to solve the problems of farmers. 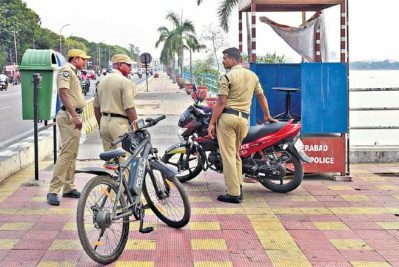 She said she had demanded the Modi government to set up a national turmeric board in Nizamabad district, but the Centre was yet to respond. 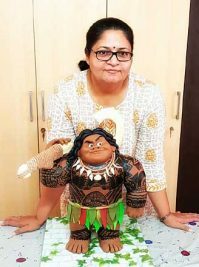 “The same party’s workers are now asking why the TRS is not fighting for a turmeric board in Nizamabad which clearly exposes the double standards of the BJP,” she said. In the last Parliament elections, Kavitha said she had assured people to solve three issues, including Nizamabad-Peddapalli railway line, safe drinking water to every household and doubling the cultivation area in her constituency, and all three had been fulfilled. “In addition, I ensured sanction of Rs 900 crore additional funds for other railway works,” she said adding that she was also making efforts to reopen the Nizam Sugar Factory.